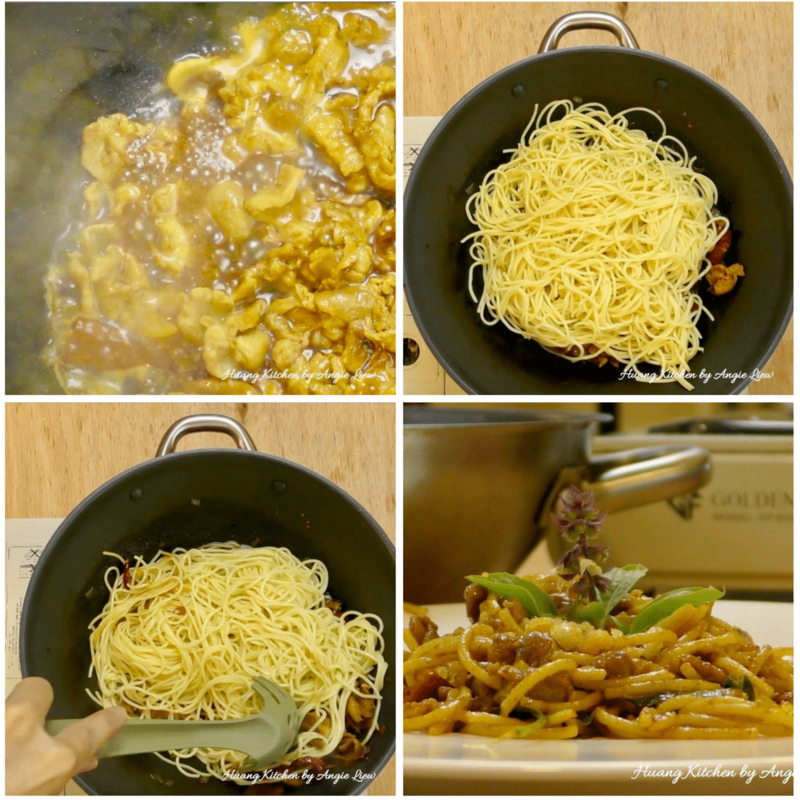 When you are craving for a pasta meal but you don’t fancy all that creamy and cheesy stuffs, this salted fish pork belly pasta may just be the answer for you. 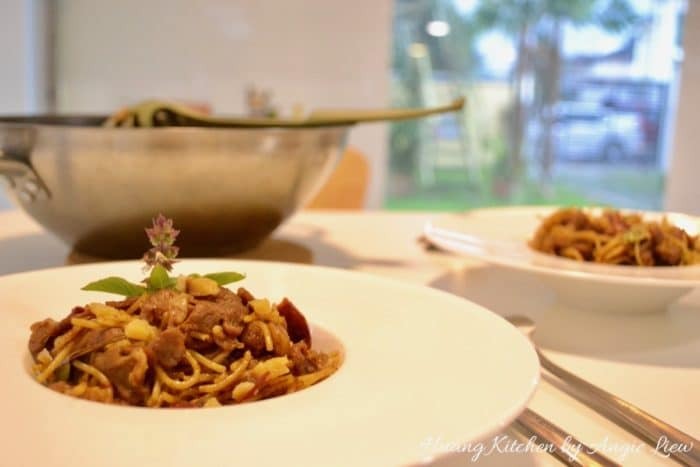 It’s a very classy makeover pasta dish with an Asian twist. The salted fish and marinated pork belly are super flavourful and so surprisingly perfect with pasta too. 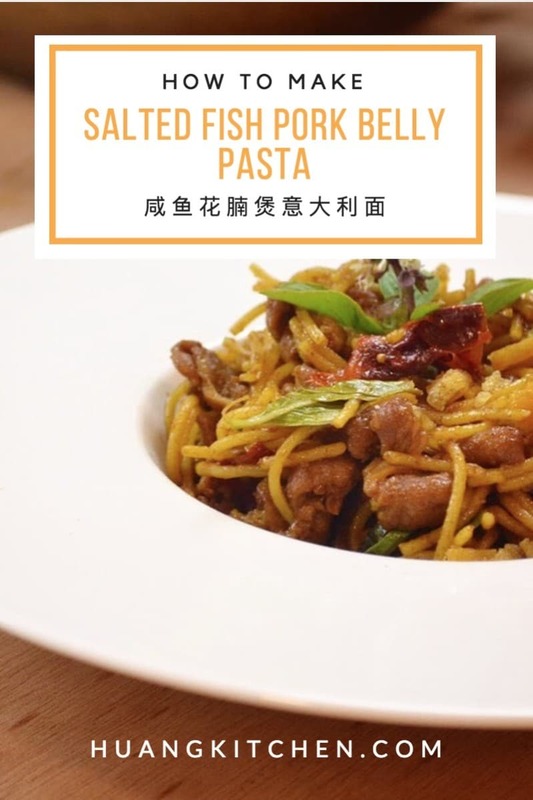 Incorporating the al dente spaghetti into a stir-fry with the aromatic salted fish and pork belly as well as a touch of ground pepper can render this pasta dish tastes insanely delicious and addictive. 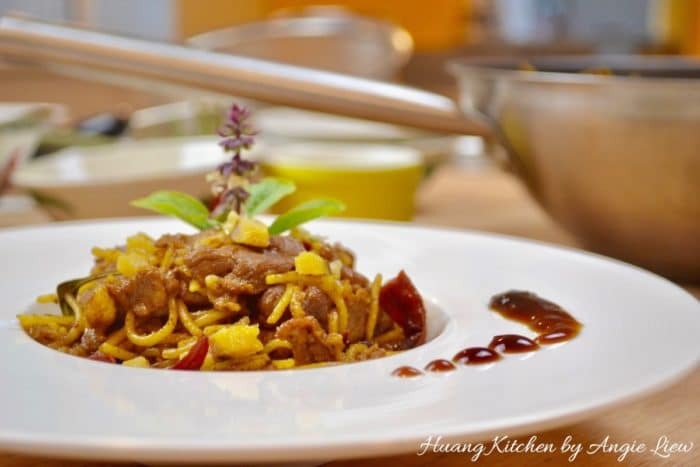 Make it a bit spicy if you like and you will have got yourself a super comforting plate of pasta in the form of Asian noodle. Makes for an easy weeknight dinner too. 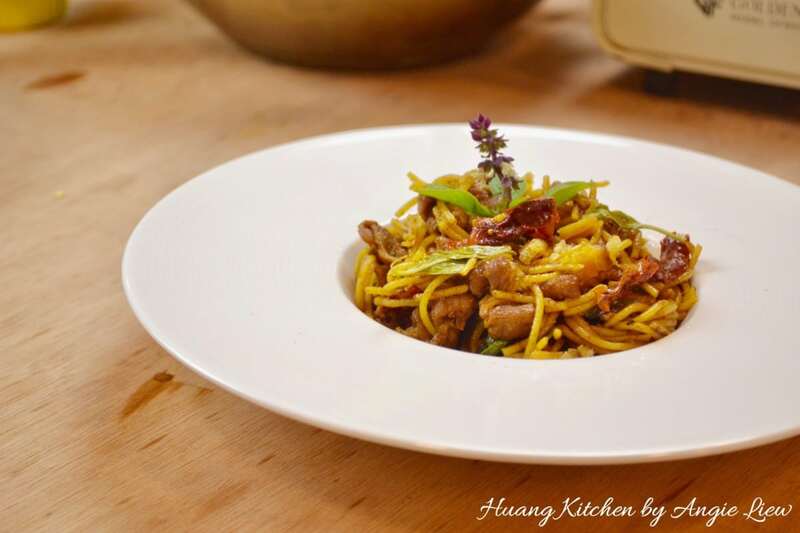 This pasta dish brings a new twist to the popular Chinese daichao stir fry dish, Salted Fish Pork Belly. 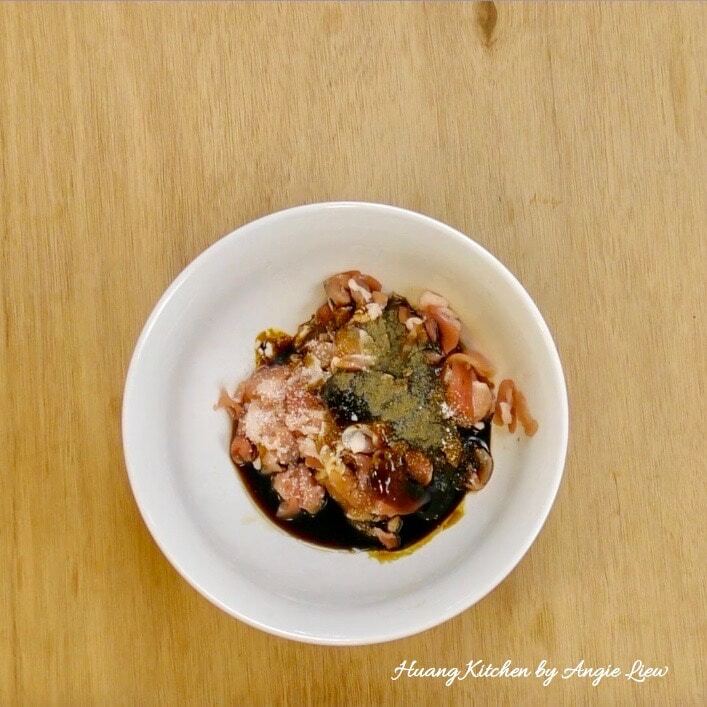 This one meal dish is packed with the amazing fragrance of salted fish, marinated meat and dried chillies. Just the perfect dish to make on lazy weekends! First, thinly slice the pork belly. Then dice salted fish and red onion. Cut ginger into thin slices. Next, remove the seeds from dried chillies, soak it in hot water until soften, drained and set aside. Then, prepare seasonings to marinade the pork belly. Marinate the pork belly with all the seasoning ingredients for at least 30 minutes. 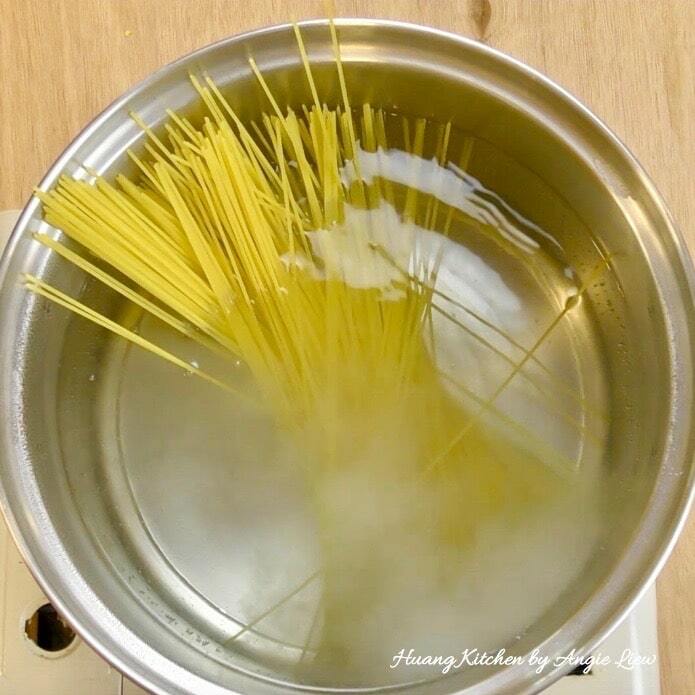 Meanwhile, cook the spaghetti in a generous amount of water until it's almost al dente. Then drain and set aside. And we're ready to stir fry the pasta. 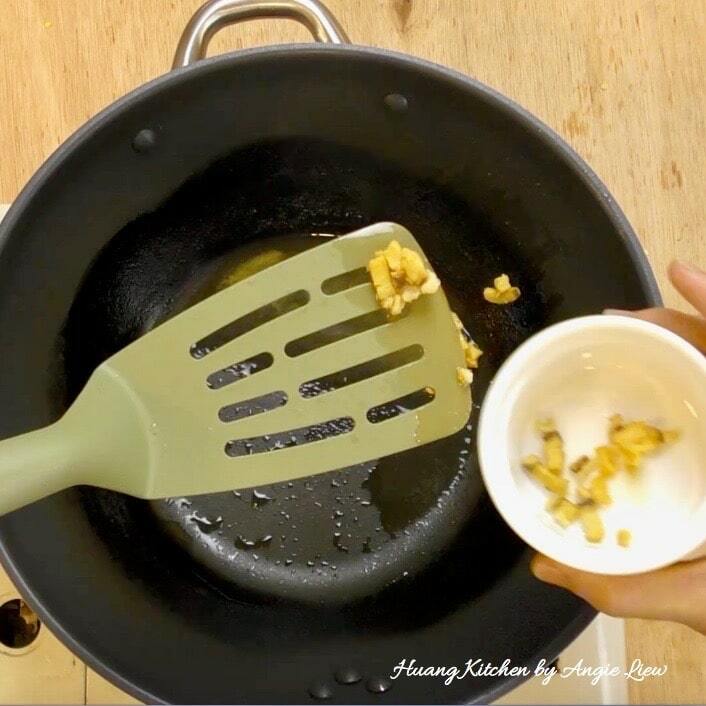 Heat up pan with some cooking oil and shallow fry the salted fish until golden brown. Drain and set aside the salted fish. 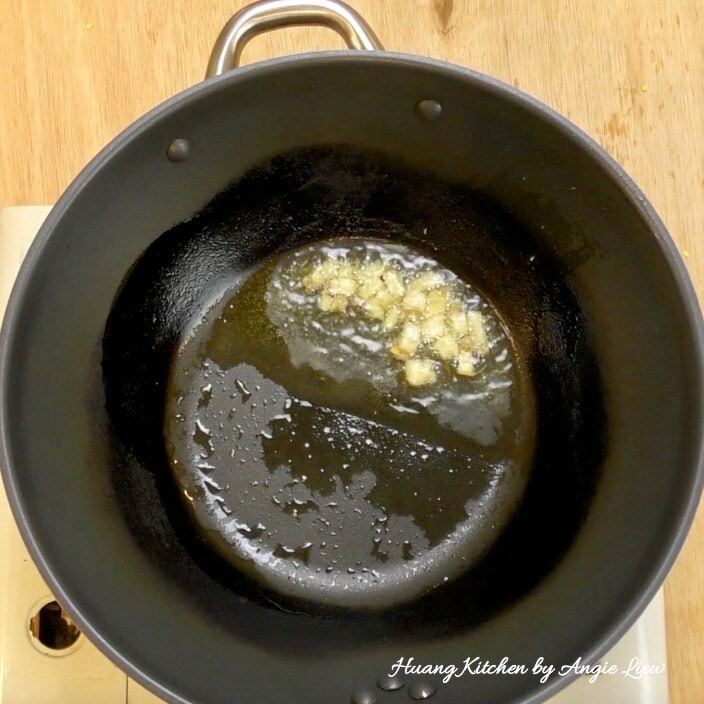 Retain the oil in pan. Add in diced red onion and stir fry until soften. 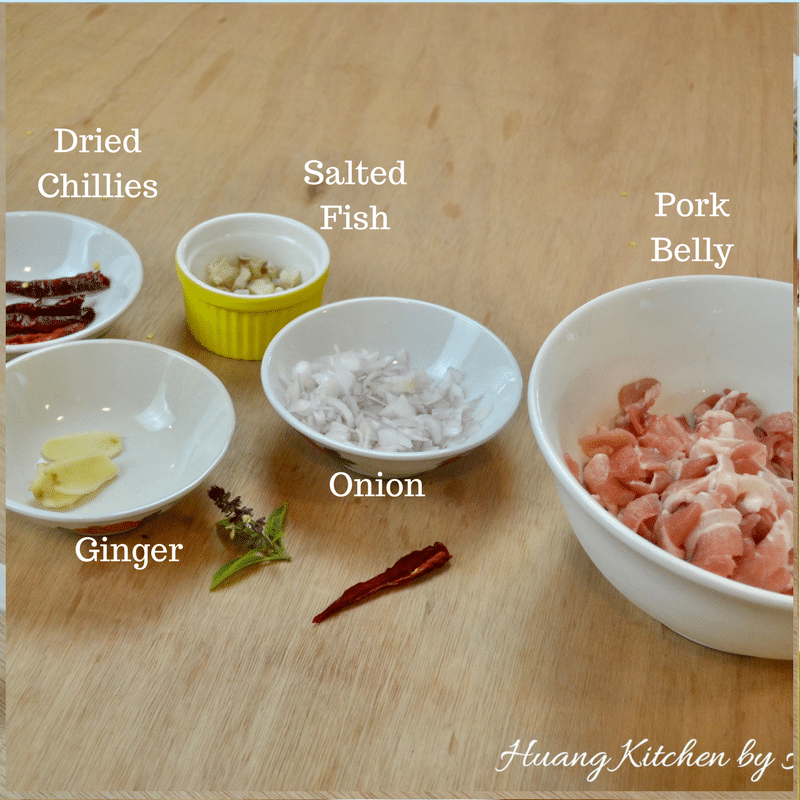 Then add in the sliced ginger and dry chillies. 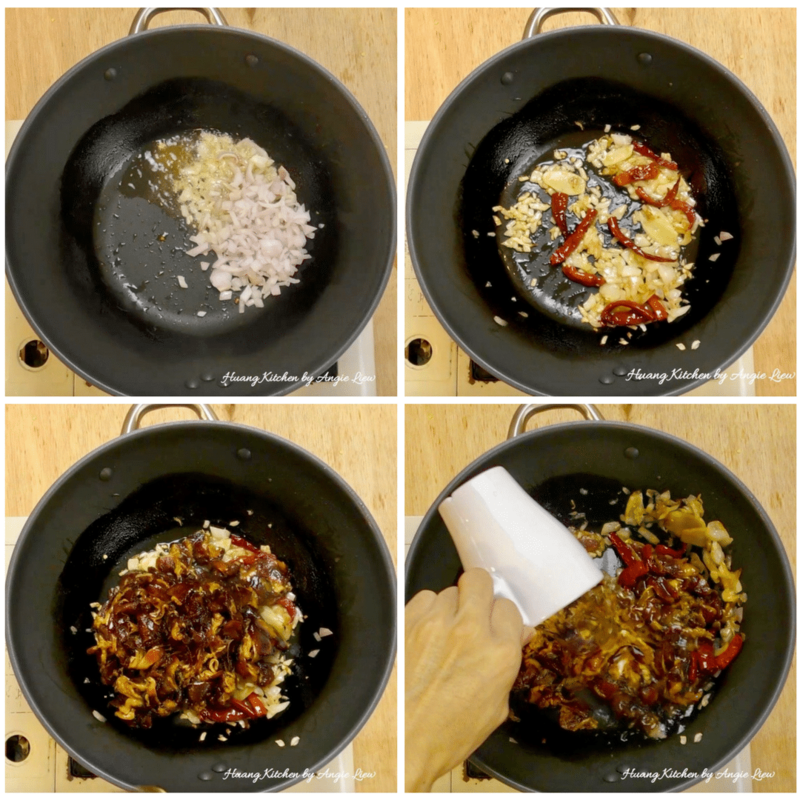 Continue to stir fry until fragrant. Lastly add in the marinated pork belly and water. Bring the mixture to a boil and continue to simmer for another 4 minutes. Then add in the cooked pasta directly into the pan and toss to coat well. Garnish with green basil leaves and serve immediately. So Enjoy! To thinly slice the pork belly, it's better to have the pork belly half frozen where the outer is harden and the centre is still soft. 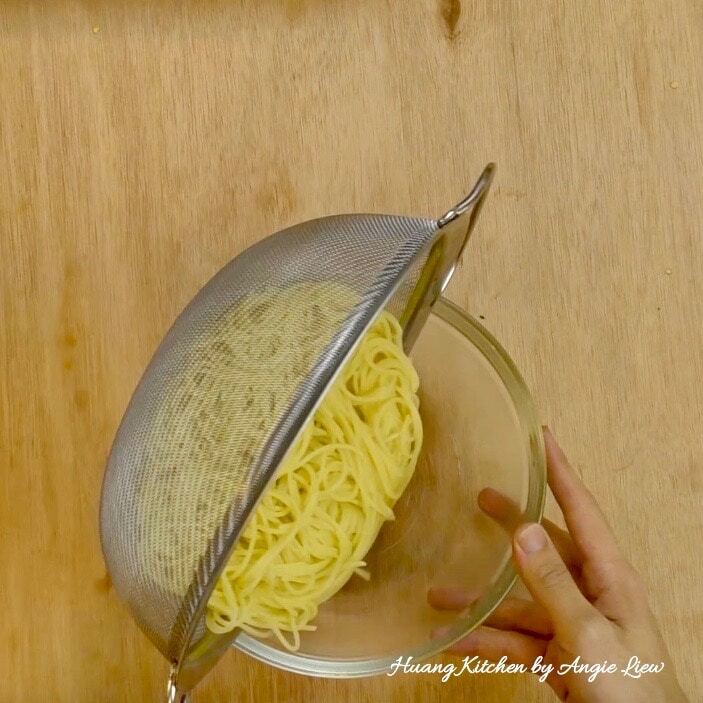 Make sure the pasta is cooked to al dente as we still need to stir fry it. Otherwise, the spaghetti will end up too soft.